Bonjour lecteurs! After starting our 12 Days of Frenchie Christmas with Kit & Kin yesterday, we are now happy to present you a fabulous local brand. 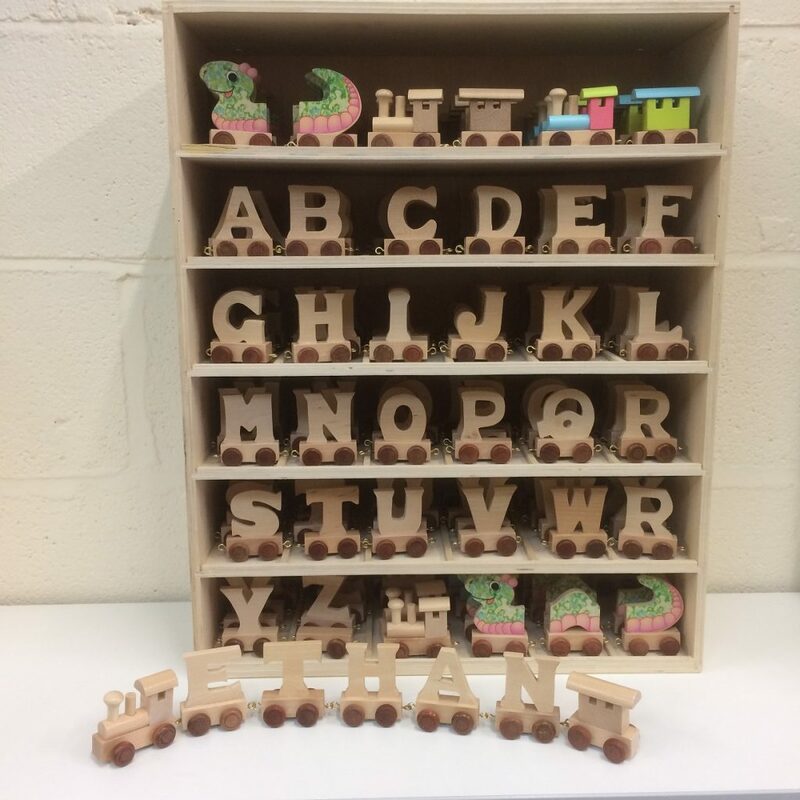 Indeed, today you can win a Jack and Jill’s Wooden Name Train worth up to £13. This is the perfect present if you want a cute decoration in the nursery! We have two trains like that in Baba’s room and they look lovely! It’s up to you what you want to write on it. One of ours is saying ‘Baby’. But the most popular and personalised option is to make the name of your little one! How cute! Plus, because we love spoiling you, all our readers will have a fab promo code to enjoy! Check it out at the end of this post! Are you looking for top quality children’s wooden toys and games? Do you want an online retailer that values you as a customer and carries a wide range of products in stock to choose from? Then Jack and Jill’s Wooden Toys and Gifts offers high-quality and educational toys and games for children from 0 to 7 years. Its toys are designed to help your children learn and to explore their imagination with play. I don’t know about you, but we love wooden toys: they are more eco-friendly and we love the vintage feeling attached to them! Plus, Jack and Jill’s Wooden Toys and Gifts is a very special boutique. Not only the brand offers quality products at affordable prices, but it also values its customers and works hard to ensure their complete satisfaction. It sounds super cool to me! Look at all the lovely customers’ reviews on the brand’s page. It is clear that this shop loves making happy clients! Plus, the boutique has top name brands like Melissa and Doug, BigJigs and Cloud B for sale! You are guaranteed to get the best toys at a great price, with Jack and Jill’s Wooden Toys and Gifts! Looking for a personalised present? 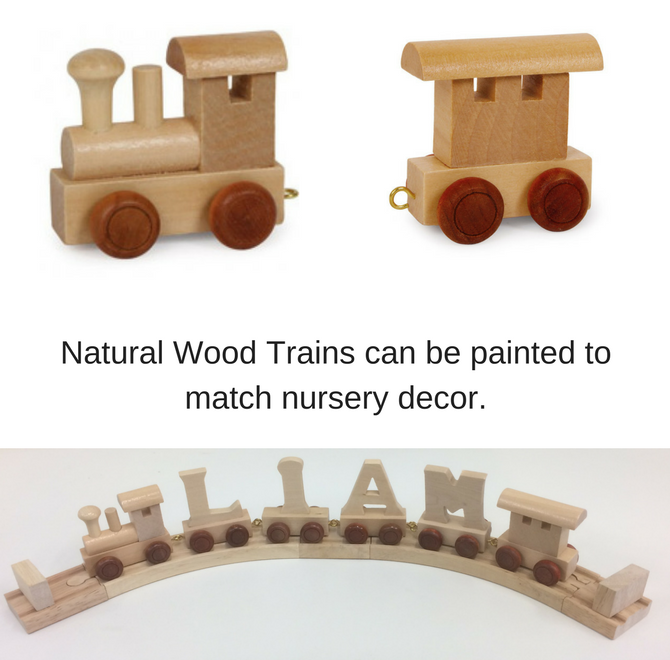 Jack and Jill’s Wooden Name Trains are fabuleux! A very cute Christmas present! You can choose the colour (bleu, rouge or vert!) or have it plain. It is up to you. Then, all you need to do is adding up the letters to make your little one’s name! How cool and unique is that!? The coloured engine and fender set are great to start and finish name trains for both girls and boys. Plus, it makes the perfect training for spelling and writing or simply used as nice decoration in the nursery. The uses for these gorgeous little engines and train letters are endless so let’s be creative for Christmas! It’s up to you! So unique! We love this version too! Loving those cute name trains? Looking for something a bit different that will last? Win this fab prize today! Take part in our second prize with 12 Days of Frenchie Christmas and get this gorgeous prize! It will be such a nice present for any little one! Enter our giveaway now via gleam! There will be only one lucky enfant! This giveaway starts on Saturday 2nd December at 1 pm and ends at midnight on the 2nd January 2018. The competition is open to UK entrants only. We will select a winner at random using Gleam. Provision of the prize is the responsibility of Jack and Jill’s Wooden Toys and Gifts. I hope you liked reading our 12 Days of Frenchie Christmas – Win a Jack and Jill’s Wooden Name Train worth up to £13! Don’t forget to visit our Facebook page for extra entries! You will have more chances to win this fabulous prize! See you tomorrow to win a very special light for the nursery! Disclosure: This is a collaborative post with Jack and Jill’s Wooden Toys and Gifts. would be a gift for nieces all nice! I would love a name train for my niece. I would love any design as I have 12 Young nieces & nephew all under 8 !! Wonderful ??❤️?? Rouge train with my little girls name . For my son Lucas – a red and blue train would be lovely! I think that the natural wood looks nice! I love the classic name trains, they’re so cute! The natural wooden train for my daughter. I like the curved track, Name Train with Engine and Fender in Blue and Red. Would like a train with the letters spelling TEDDY on it. I love a natural wood finish. I’d love a name train for my Newborn Nephew. I love the Dragon one – I think my 1 year old Nephew Henry would too! I’d love the blue and green one for my little boy please! I would love a blue name train for my baby boy. I would get this for my new grandson due in the New Year. The natural wood looks the best and is the best! Would love to win a natural wooden train. The green and blue would go lovely in little ones bedroom ? I’d like one in neutral creamy colours with my nephews name on it. The dragon head and tail train! A tri coloured train for my niece. I really like the dragon style one. It is so unusual! My son has the natural wood one, so I’d love the vert one for my daughter! I like the name train. Would love the dragon train for my little welsh girl. It would take pride of place in her bedroom. natural would be perfect for my little boy ???? I would love a name train for my nephew. I’d like any design but the natural wood is my favourite! I like the natural wooden one. The Dragon train for my nephew. Thanks for the competition! I like the natural. I’d gift it to my nephew for when he starts learning how to spell. I love the Blue and Green Train, it would be perfect for my grandson, Freddie. The pink blue & green train for my niece.